A few years ago I stumbled upon a trip called “Jordan & Syria Adventure” visiting Amman, Jerash, the Dead Sea, Mount Nebo, the Karak Castle, the ancient city of Petra, the desert of Wadi Rum and Aqaba in Jordan plus Damascus, Palmyra, Aleppo, Hama and Krak des Chevaliers in Syria. That was back in October 2010. I was hooked right away and started to consider to take this tour in fall 2011 or somewhen in 2012. Then in spring 2011 the Syria war broke out and it makes me sad ever since to see in the news how millions of Syrian people lost their lives and homes and how the cultural treasures and the cities of the country are being destroyed. A combined trip to Syria and Jordan soon wasn’t an option anymore. But although I have seen so much and travelled to several countries in the meantime and despite my love for China, the country of Jordan stayed on my radar. Especially in the last one and a half years a trip to Jordan became more and more appealing. While I was taking my TEFL course I was mostly too tired to be creative after finishing work and sometimes even too tired to edit my photos from past trips so I often watched travel documentaries including DVDs about Jordan. Then, a few weeks ago, I impulsively booked the Jordan portion of the trip I had originally planned to do. But despite my excitment I have remorse towards my beloved ones at home because I am planning and hoping to move abroad to teach English early next year. Maybe I should stay at home and spend time with them instead of exploring Jordan after just spending one and a half weeks in Thailand when I headed to TBEX Asia in Bangkok in October. Also the recent plane crash over the Sinai peninsula and the bomb attack in Beirut, the capital of Lebanon, yesterday, concern me a little bit because it seems that both were attacks by the IS. But the development in the Middle East is also the reason why I am travelling to Jordan just now instead of waiting until after having taught English abroad. Jordan is still supposed to be a safe country, maybe the safest country in the region and especially for the Jordanian people I hope that it always remains like that, but who knows what will be in 2017? Furthermore the trip was a great deal. It was 100 Euros cheaper than it was in 2012 and for the next two years the prices are a lot higher. Plus the itinerary is so appealing that I couldn’t resist and grabbed one of the very few remaining spaces left for this year. However, it’s too late to contemplate anyway because I already arrived in Amman about two hours ago. Here I will spend a day by myself before meeting an international group and a Jordanian guide tomorrow night. 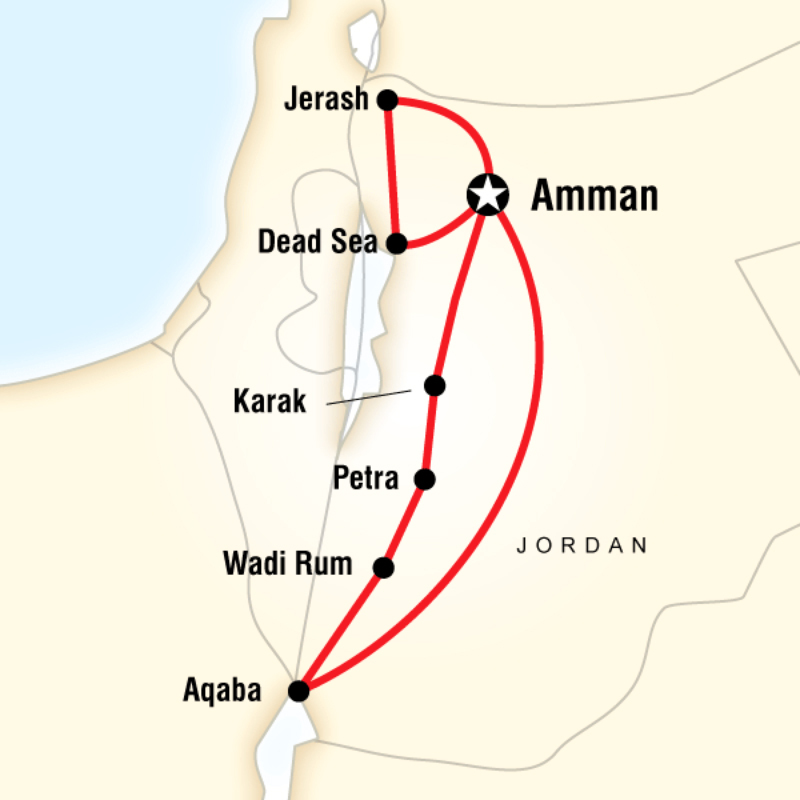 From Amman we will travel to the Roman ruins in Jerash and to the Dead Sea. We will enjoy the view overlooking Israelian territory from Mount Nebo, discover the Byzantine mosaics of Madaba and the crusader castle in Karak. Of course we will also head to Wādī Mūsá to explore the awe-inspiring ancient city of Petra, a UNESCO World Heritage Site. 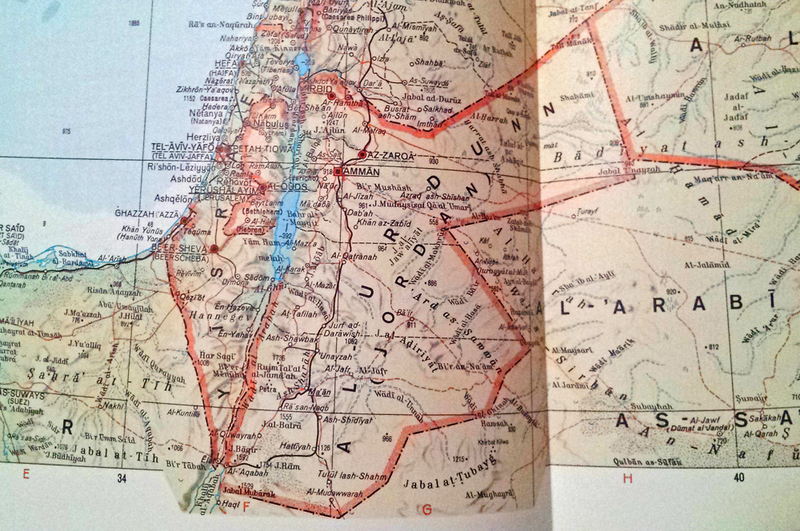 From there we will drive into the desert of Wadi Rum where we will spend one night in a Bedouin camp. A stay in Aqaba at the Red Sea marks the end of my journey before driving back to Amman. There I have an additional day by myself before flying back home on the 22nd November. Like most of the times I am travelling solo. While I am usually absolutely fine taking public transport or taxis from the airport to my hotel in other countries I have booked an arrival transfer this time since Jordan is a new country for me and I got into Amman late at night. It is also a little bit because of what has just happened to Richelle, a fellow travel blogger, whose blog I follow for quite a while and who I have just met personally at TBEX Asia. It is the first time that I got picked up at the airport since doing volunteer work in Costa Rica in 2003 (the company I worked for insisted to pick me up). Altogether I only got picked up at airports abroad four times since I started to travel alone at age 17. If you would like to follow my journey through Jordan or my travels in general subscribe via email, follow me on Facebook, Twitter, Instagram, Google+ or LinkedIn. If you enjoyed this article I would also be happy you’d leave a comment below. Cool stuff! Sounds like an exciting journey. I’d like to go to Jordan too but unfortunately, it’s not an option at the moment however, I’ll be eagerly waiting for your posts. Have fun & stay safe! Victoria@ The British Berliner recently posted…Have you ever been to Bristol – Let’s eat & drink ’till the cows come home! Thanks so much, Victoria. Jordan is a fascinating country and I had an amazing time so far. I will definitely write about my travels here, there is so much to tell. If you ever get the chance to visit Jordan I would highly recommend it. 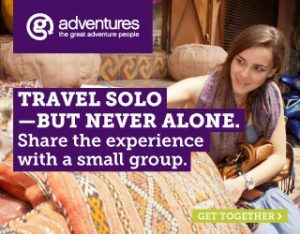 Oh darling, I’m so glad you are travelling solo! Bless you. Great you were picked up from the airport. It’s a great feeling if you know someone is waiting for you on the other side of the gate. Wishing you all the best in Jordan. Can you da me a favor? Go eat some local food (especially vegan) and let me know how you liked it!! Thanks so much for the kind words, Agness. I got back from Jordan a week ago and it’s an absolutely amazing country. Thanks to our local Jordanian guide our group got a deep insight into the country and we also had the chance to try lots of local Jordanian dishes, ranging from cheap street food to a dinner in a 2000 year old cave, food prepared in the ground of Wadi Rum plus tea and marshmallows over a campfire at night in the desert to our final dinner in a great restaurant in Amman. Although we had no vegetarians or vegans in our group I think that also they would have been happy with the choice and variety of vegetarian- and vegan-friendly dishes and the food was great. Although I usually never use arrival transfers it was indeed good to be picked up at the airport this time when arriving in Amman in the middle of the night. Thanks so much for featuring me and my story! I hate telling women to be scared of taking taxis at night, but it was a good learning experience for me. Now I always have some sort of map on my phone, and I’m sure to look up exactly where I’m staying to avoid that kind of situation. If you don’t feel safe arriving at night, it’s always best to pay the few extra dollars for peace of mind! Thank you so much for your comment, Richelle. I was shocked and I felt deeply sorry when I read what happened to you. I am glad that you managed to get out of the situation safely. Thank you for sharing your story with your readers because till then I always felt safer in China than at home or elsewhere. Now I know that it is neither safer nor unsafer than in Europe or the US and that us females have to take precautions not matter where we are. I think it’s good that you have a map on your phone to see where you are staying and it’s a great idea to share your Geo-location with your friends on We Chat. I’ll definitely keep that in mind when coming to China the next time. Two weeks ago my Mom and me attended a self-defence training including techniques of the Israeli self-defence system Krav Maga. We had taken a self-defence course already when I was a teenager but we thought it’s time for a refresher and it was definitely a good idea and a great course.